TheraBand Soft Weights are hand-held, ball-shaped isotonic weights, a soft alternative to traditional isotonic dumbbells providing users more versatility for strength training and rehabilitation exercises. Each ball weight has a 4.5" diameter, allowing for a consistent and functional grip. 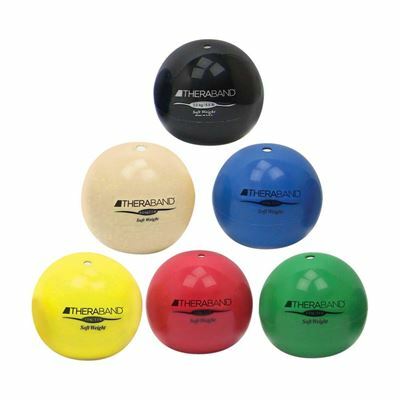 Soft Weights follow the TheraBand system of progressive exercise and are available in six colour-coded weights, ranging from tan (½ kg/1.1 lbs), to black (3 kg/6.6 lbs), increasing in 1/2kg/1.1 lb. increments.